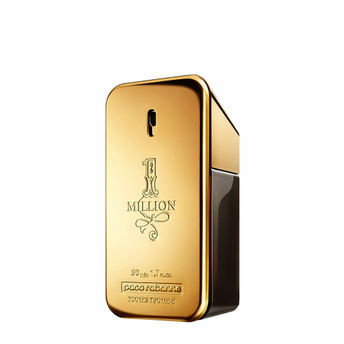 The new fragrance from Paco Rabanne, 1 Million Eau De Toilette is an embodiment of power, success and extravagant lifestyle. 1 Million Eau de Toilette For Men is an intoxicating, powerful blend. Elegant and impertinent in equal measure, an intoxicating, powerful blend that starts out fresh and moves onto a spicy leather accord, this fragrance with juicy citrus and vibrant woods notes - comes in luxurious gold body. An arresting alchemy of full-on seduction, 1 Million is the expression of every man's fantasies. Explore the entire range of Perfumes (EDT & EDP) available on Nykaa. Shop more Paco Rabanne products here.You can browse through the complete world of Paco Rabanne Perfumes (EDT & EDP) .Alternatively, you can also find many more products from the Paco Rabanne 1 Million Eau De Toilette range.